Hagia Kyriaki is a Byzantine church with a unique series of wall paintings dating to the 8th or 9th century, during one of the two periods of Iconoclasm (726-787 CE; 813-843 CE). The church is located in a secluded rural area which was neglected for years. This project is an outstanding example of cooperation across state boundaries in Europe. The unique source of funding was private donations either through the Swiss initiative, the Αssociation Hagia Kyriaki, including a contribution by J.F. Costopoulos Foundation or through the Greek organisation Elliniki Etairia, with donations from the A.G. Leventis Foundation and Athanasios and Marina Martinos. Hagia Kyriaki is single-nave domed church. A barrel-vaulted narthex and chapel were added to the west and south of the church soon after its construction and a small chapel, now in ruins, was added further to the south. Until recently it was accessible only through a footpath from the village of Apeiranthos. The church is of unique importance, thanks to the well preserved aniconic first layer of paintings in its interior. Aniconic frescoes of this period, which are limited to crosses, animals, geometric and floral patterns, are evidence of the dispute over the representation of human figures in ecclesiastical art that affected the Byzantine Empire for over a century and examples of which have been preserved in only a very small number of cases. Among these, the wall paintings of Hagia Kyriaki are the ones best preserved in the Cyclades group of islands. Rainwater penetrating the roof resulted in severe damage both to the structure of the walls and vaults and to the wall paintings. In 1993, the Swiss associations “J.-G. Eynard” of Geneva and “Amitiés gréco-suisses” began their efforts to save the monument. In 2004, a voluntary association was founded in Switzerland with the sole purpose of saving this endangered monument from further damage. The conservation of Hagia Kyriaki succeeded in saving an endangered monument and its unique paintings, with meticulous effort to protect its authenticity and refrained from adding elements that would mask the passing of time and history. “This is a sensitive and respectful conservation of a structure and its wall paintings which are linked to an important period in European thought. The excellent results have been achieved through international and interdisciplinary cooperation and through the collaboration of private and public bodies.”, the jury said of this project. “Great attention has been paid to respectfully preserving the monument within the surroundings’ unique and natural landscape in a remote location. Attention has been paid to what is often an overlooked type of heritage in a European context”, the jury stated. 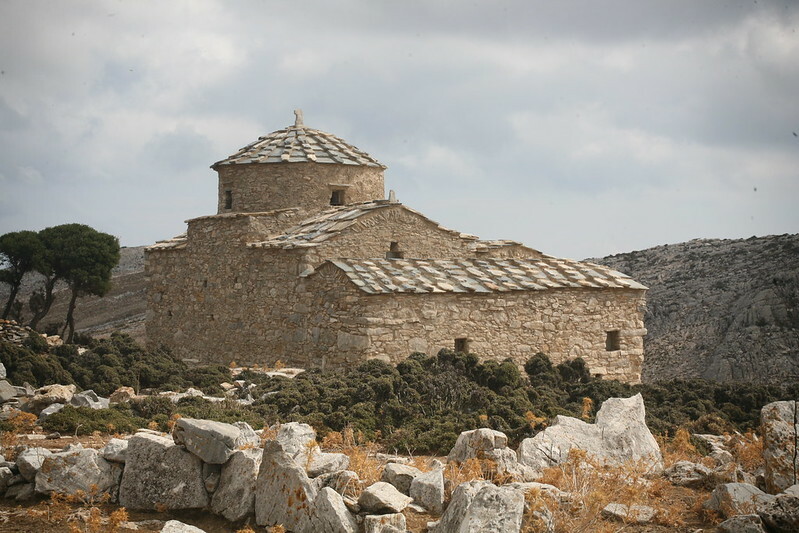 The project is a model to be followed in similar cases on Naxos, where dozens of ruined Byzantine churches demand immediate measures for their preservation.